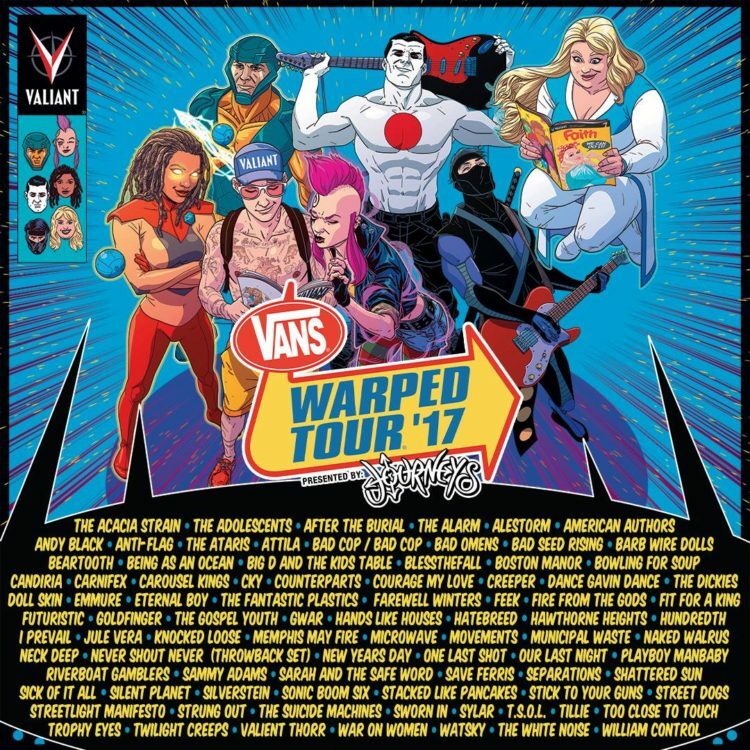 The 2017 edition of the annual Vans Warped Tour is in full swing, and this year’s roster features many bands that hard rock and heavy metal fans can enjoy, including GWAR, Sick Of It All, Hatebreed, Municipal Waste, Valient Thorr, Barb Wire Dolls, Alestorm, Candiria, After The Burial, Carnifex, Shattered Sun and many others. The tour hits the Fairplex in Pomona, California on Saturday August 6th. 1. Giveaway is open now through Sunday July 30th 11:59 PM PT. 2. Winner will be picked at random and will be contacted via email on Monday July 31st. 4. Please do not enter unless you’re living in the Los Angeles/Pomona area or otherwise plan to be in town on the date of the show. We hate seeing tickets go to waste. And if you want to skip the giveaway process altogether, simply buy tickets to the event here.